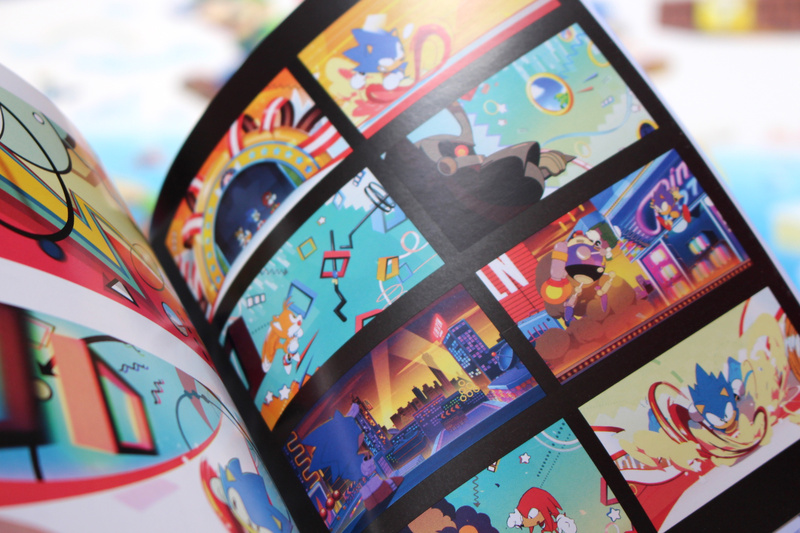 When Sonic Mania launched last year it received critical acclaim and restored the faith of many a lapsed Sonic fan. However, as a digital-only affair (no, the collector's edition with a download code doesn't count) it felt very much like a 'bonus' release alongside 2017's full-fat Sonic outing: the much-maligned Sonic Forces. 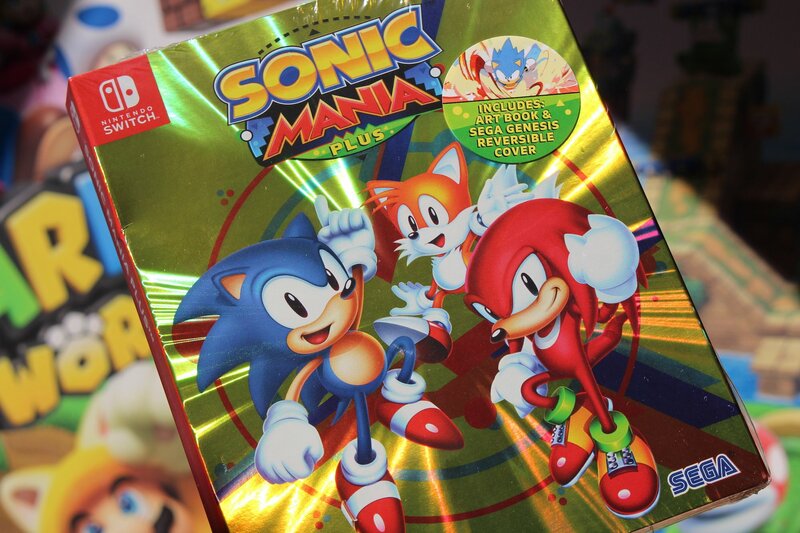 Fans called for some kind of physical release for Sonic Mania - which was perhaps the best Sonic offering in recent memory and has sold over a million copies - and thankfully, Sega listened. 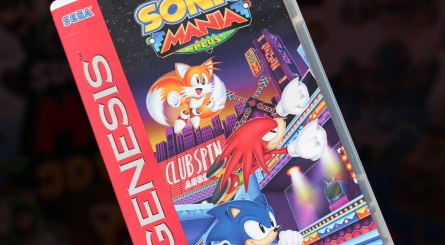 Sonic Mania Plus launches next week and it's the version of Sonic Mania we really should have gotten at launch. First things first, let's talk about the packaging. 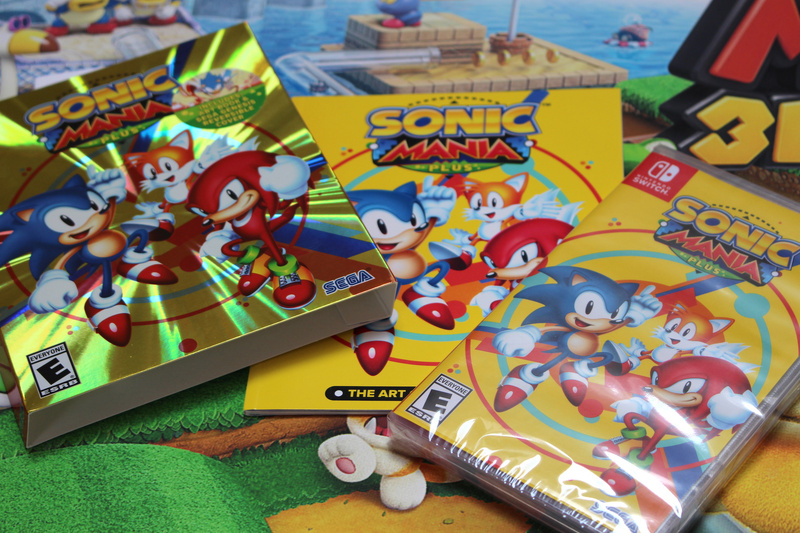 Sonic Mania Plus comes in a cardboard slipcase which has a lovely holographic foil effect; inside this, you'll find the standard Switch game case (which has a reversible sleeve inside showing a Genesis-style cover) and a surprisingly lavish 32-page art book containing concept and final artwork from the game itself (check out those logo ideas). 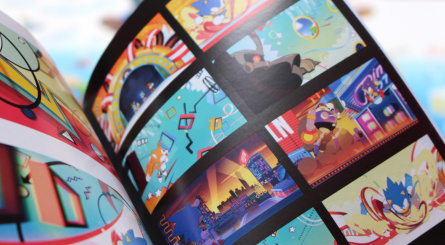 Then there's Sonic Mania Plus the game - Mighty the Armadillo and Ray the Flying Squirrel are included as playable characters, and there's a remixed "Encore Mode", a four-player competition mode (ideal for when you've got a few friends round) and a few extra cutscenes. Oh, and the battle with Metal Sonic has been retooled to closely resemble the one seen in the oft-ignored 32X title Knuckles' Chaotix. 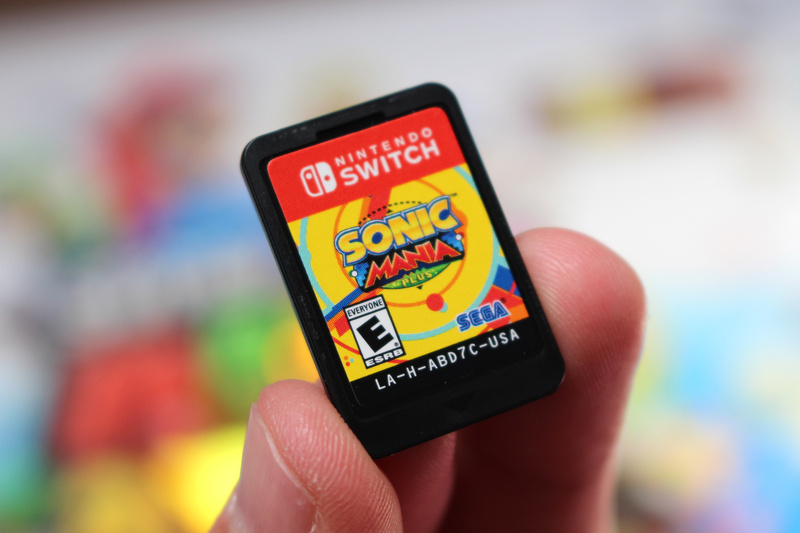 If you already own Sonic Mania then inserting the game card will simply add the 'Plus' content to your existing game data, which is seamless and rather lovely; instead of creating an entirely new game icon on your Switch home screen, it simply uses the existing Sonic Mania one. Nice. 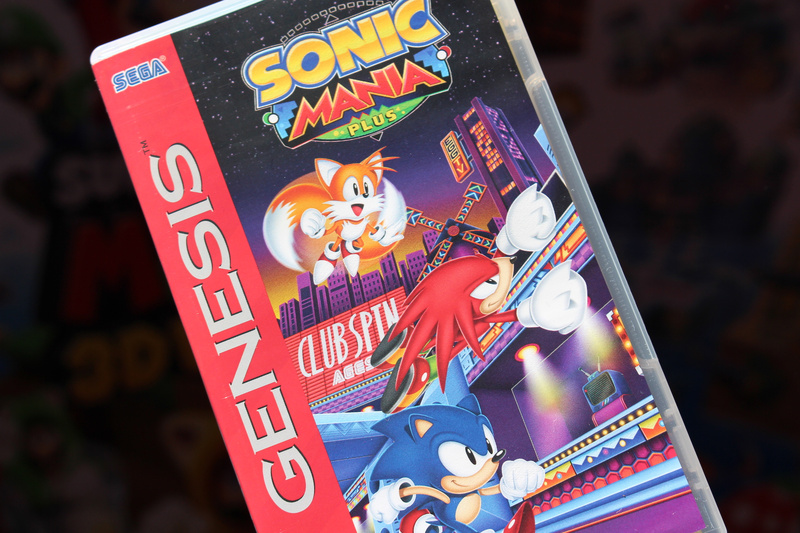 Is Sonic Mania Plus worth buying if you already own the original game? Depends how badly you want that physical case sitting on your shelf, we guess. If you're steadfastly digital-only then you can download the 'Plus' content for $4.99 / £3.99, whereas the physical version will cost you $29.99 / £29.99. We'll leave you to wrestle with that taxing monetary puzzle, but there's no denying that this is a lovely physical edition of one of Sega's best games in years. 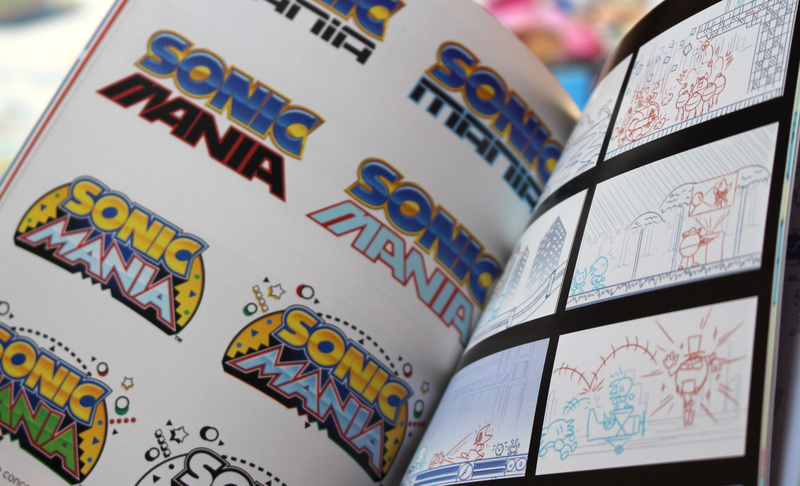 Let's hope Sonic Mania 2 isn't too far away, and that Sega learns from the past and releases a physical version of that on day one. Agree. This should have been retail day one. But well, I got the chance to buy it digital day one for half the price thanks to the easy "international eShop travel" method, and considering it cost me about 10 euros, paying now 24,90 (Amazon price minus Prime discount) means I will have paid roughly 35-36 euros for this masterpiece, so this time I'm comfortable with buying again a game that I already have. With Wonder Boy I... let's say I put the account where I had downloaded it in other hands -ahem- and after this two cases of apparently digital-only game that eventually had a physical version I decided to hold on and study each new potentially big digital release. For example I didn't buy Celeste because it's so obvious it's gonna have a retail edition... Hollow Knight too, and they already said it will. Kinda want this. So far the only game I've double-dipped on is Dragon's Trap but I'm very tempted, especially at that price. I'll just keep the digital version but the physical version looks amazing. Here's hoping we get a sequel to Mania, it's been better than most of Sonic's recent "adventures"
It all starts with this. A jewel containing the ultimate sonic game. 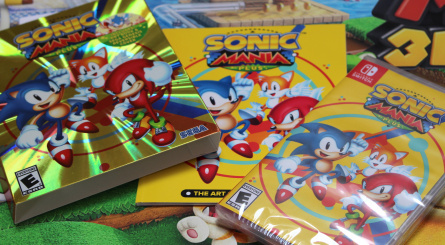 but, i seriously need to get sonic mania. Glad I’ve held off getting this. I need to preorder later. how silly do the people who bought the collector's edition feel now? 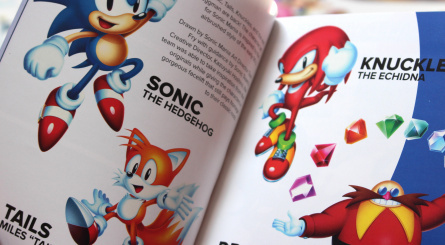 REALLY want that art book, but I can't justify buying a whole new copy of the game when I already own Sonic Mania digitally. Yeap I'm totally going to re-buy this just for the physical cartridge and case. I'll also search around if anyone made a manual for it too so it'll be like a complete retro package. @Nunya I know you're trying to be smart, but I hadn't a clue until now what "Plus" actually meant, and thanks to this informative article, I do now. By the way... £4 for the Plus content digitally or £30 for the physical edition - that's some mark-up! So I've never played a true 2D Sonic game and wouldn't have any nostalgic attachment to these games. Is this worth buying for me? It definitely looks good! Pre-ordered this when they announced it. Already have the digital, but had to buy it (grudgingly) when it first came out, as I thought they would not make physical. What day does the Plus content come out again? I was on the fence about double dipping on this one, because I really wanted the art book and genesis cover, but didn't want to have to insert a cartridge every time just to get access to the plus content. If this unlocks the plus content in the digital version, then I'm pre-ordering now! This is tempting. Very tempting. Curse you and your advertorials! 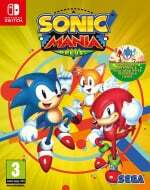 @Matthew010 IMO this is by far the best 2D Sonic game, and the least frustrating one too. You'll miss out on some of the fan service, but on the other hand, every level is going to be new for you, so overall I'd say you may even like it more than long time fans. I recommend it. "...you'll find the standard Switch game case (which has a reversible sleeve inside showing a Genesis-style cover)". Or, yes, a Mega Drive cover for us in Europe. Nice reporting, Nlife. Both cover art looks really good, but I'll just stick with the $5 upgrade to my base game. Besides, I made a box art and printed out for my shelf to go along with my collector's edition, so I'm happy with it. I bought this digital a long while ago before there was ever mention of a physical. I'd like to have this, but I'm not paying for it twice. Really hate this "digital now, maybe a physical later so just guess how long you need to wait before we might announce it" thing that's going on this generation. This is one of the best thing that happened this entire year on the Switch ! In normal time, we'd think " ow it's nice to have that ", in present time because of the situation IT'S AWESOME ! Really happy to get my copy in two days with Octopath Traveler ! @RainbowGazelle We were sent the North American version. And I mean really, is there anyone who doesn't know the Genesis was called the Mega Drive in Europe? I double dipped for the physical. Such a great game, and I need that box. Also, I am a consumer whore with disposable income and a lack of self control. Oh snap, I was interested in this since I didnt buy the special edition physical copy when it came out, it had a neat statue with it, but cost like $90, so I passed. Anyway, I didnt know this version was going to come with a slipcase and artbook. 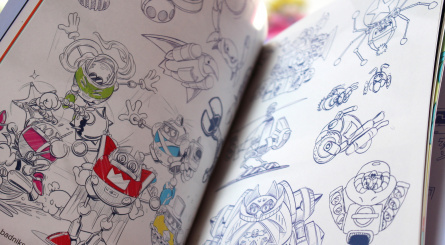 Anything with an art book, Im sold! 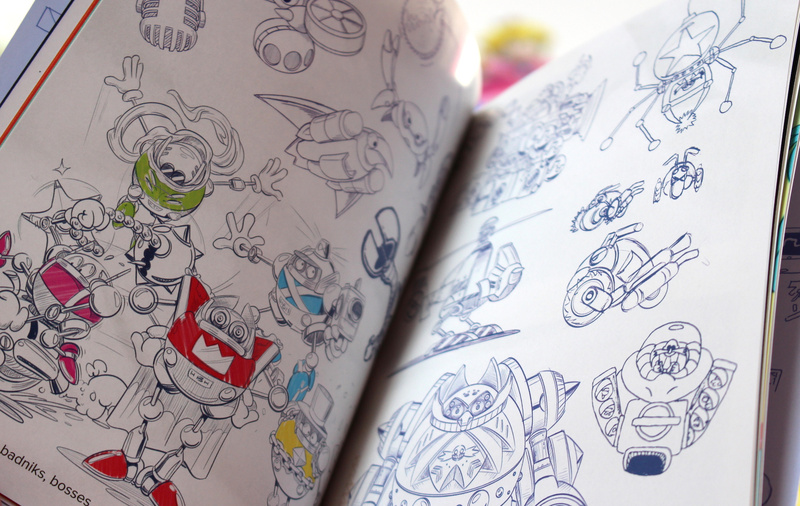 (I more-or-less triple-dipped for the recent Shantae Half Genie Hero, and it was worth it for the art book). Gotta go reserve this, ayeeeeee! @nab1 To be fair, I think I was going to get it anyway, but thanks. £23 isn't bad for a critically acclaimed game! For me Sega was only Genesis and Dreamcast. I have no idea what a master system is. Haven’t played this yet, I’ll probably grab it with the 20% off from Best Buy. Hell, Sega Genesis had add-ons here. While I absolutely despise and loath the 2D sonic franchise for numerous reasons I'm STILL willing to give this a chance. OR inevitably just running into an enemie or falling into a pit of spikes since you couldn't spot was a head of you in time. It was a mess. A complete mess. Sonic 3 was the worst. Also, when the game doesn't require you to speed up, you're left with sloppy lousy platforming and crummy horrid controls plus bizzar broken feeling level design. The mascot, music and visuals were nice but that was about it. Even then those 3 games were complete trash when stacked to the wonderfully amazing and magical super mario world. No contest. Not even. IF anything widescreen should help the speedy portions greatly. I was waiting for a physical release to play this. I will be picking this up. I have digital - please someone talk me out of buying this!!! I already spent $80 on this awhile ago......... I don't like these $ schemes via digital-physical. 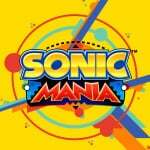 @nab1 I’m surprised you find Mania the least frustrating Sonic game. I was personally really irked by the way it hides the entrances to the Chaos Emeralds and if I fail to get the emerald it locks me out of returning to it to try again. While admittedly Sonic 1 and 2 wouldn’t let you re-enter a bonus level, they at least weren’t hidden in those games and there were plenty of opportunities to enter them (especially Sonic 2). I also disliked how few lives they give you after a continue. The last zone in the game is really tough and getting to the final end of game boss with just 1 life and then being sent back to the start of the zone is maddening. Conversely I got to Robotnik on my Nomad with about 15 lives and all the Chaos Emeralds in both Sonic 1 and 2 at the weekend. @Damo Most people in the US didn't know that it had a different name elsewhere. I guarantee my wife wouldn't know what a Mega Drive was. A lot of people in the US have never heard of the Master System either (I think it only had 2 mil sales here). Maybe the UK was more aware of it being called the Genesis in the States than we were of the Mega Drive? We usually live in our own little bubble. In my case this would be a tripple dip. I bought Sonic Mania on Switch and Xbox1 (for the girlfriend). Anyways, not tripple dipping on Sonic. I forgot I had this on pre-order until recently.Was thinking about cancelling as have already got others on pre-order but after seeing this..no way am I cancelling. @SonOfVon I don't feel silly at all. Money well spent, and it only cost me $44 dollars on Amazon with random discounts over the year I had it preordered. Comes out to roughly 24 dollars for a collectable statue that says "SEGA!" 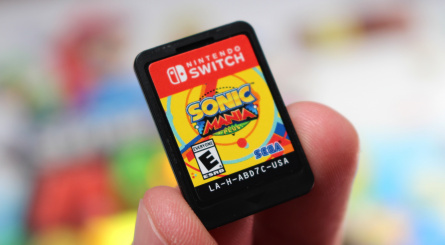 when pressed, a gold ring, which I always wanted as a Sonic Fan, and a mock Sonic Mania Genesis Cartridge. The other 20 was for the price of the game. Now I'm double dipping for another platform, with an artbook, reversable cover, and a shiny sleeve. Growing up on the Genesis, Sonic 3 & Knuckles was my favorite game as a kid, and I don't regret spending some more money on my favorite game of 2017. @Bulkslash You probably also don't like Sonic 3, considering how the special stage entrances were copied from that game, and how Blue Spheres are the Special Stage Levels. Also, every main series Genesis/Mega Drive Sonic game gave you 3 continues after a game over, and placed you back at the start of a level. It's not doing anything different than the Genesis originals. @Stocksy Sorry, can't do that. It's worth the money, or at the very least, 5 dollars to update to Mania Plus. @majinx07 July 17th, same day as Mania Plus releases. @Incognito_D Well, the base game for Mania is 19.99, the Plus DLC is costing 4-5 depending on your region, and the physical release of Plus has an artbook, which is costing about 5-6 depending on your region. @WaveBoy "The reality is, sonic 1-3 were never good games." The reality is, millions of people disagree with you. I respect that you don't like classic Sonic games-- you don't have to. But that doesn't make them bad games. For example: I hate Counterstrike for a lot of reasons, but it's at least a well made game. It's just not for me. 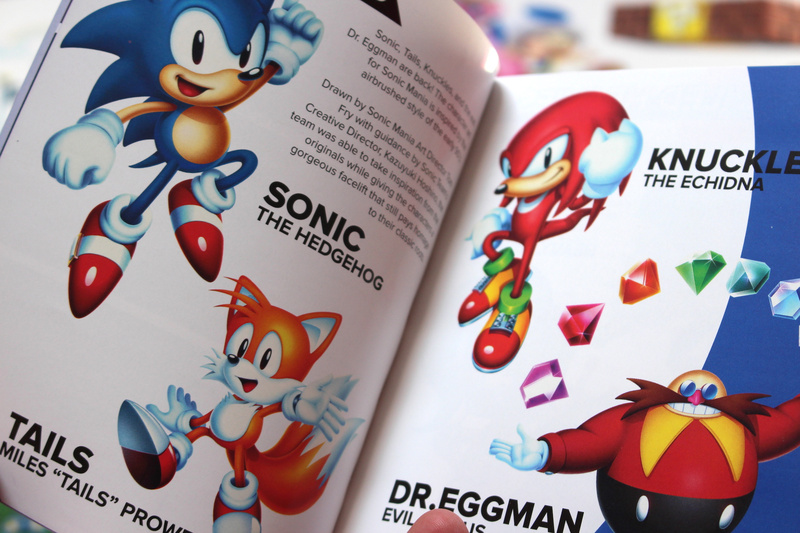 Sonic 1-3 are classic icons of the genre that had a major influence on platformers in both style and substance. 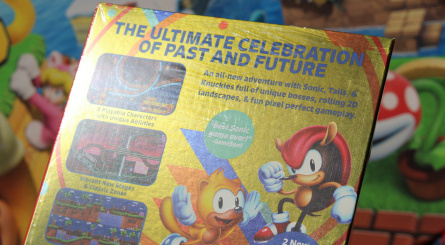 The evidence of the continued praise, re-releases, huge fanbase, and millions in sales for Sonic Mania show that they are anything but bad games. @Damo The point is, often in Europe, we're left out from getting little touches like this reversible cover. Sega only had the Genesis artwork for games in the European version of Sega Mega Drive Ultimate Collection on PS3/Xbox 360, for example. So it would just be nice to confirm that Europe gets equal treatment in an article that is read by both Europeans and Americans. Is that really too much to ask for? @Moroboshi876 I'm curious, how do you travel to get the foreign region/country price on the eShop? Is it just enough to change Switch regions or do you do it on a web browser connected over a VPN? Thanks! Love the physical. But got digital so gonna be sensible and just lay down the extra four quid. @Francema No, it's not about VPN. You can either temporarily change regions or create a new Nintendo account and have its profile on your Switch alongside yours. Best part is you can play the games downloaded with that account with your original one. The trickiest part is payment method, that depends on the specific eShop. Has it been confirmed (or is it safe to assume) that the DLC version will contain ALL of the new in-game features of the Plus release (i.e. 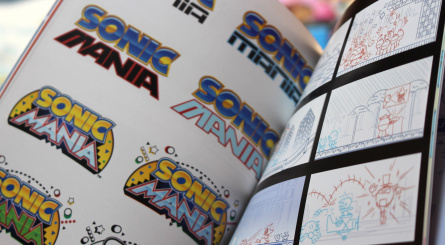 should the DLC essentially make previous versions of Mania identical to the physical version of the game)? @ArcanineArco I've used them a few times but thanks man, I ordered the PS4 version just now. £22.85 is a pretty sweet price. @ArcanineArco Cheers, much better than the £30 on Amazon. @Sakura7 Is your icon the guy from The Wings of Honneamise? @dimelives The paid DLC is just Plus without the physical goodies. There'll be a free update too with adds the extra level transitions. Absolute ownership of something for the win! "Let's hope Sonic Mania 2 isn't too far away"
Yes, I really would love to see that. 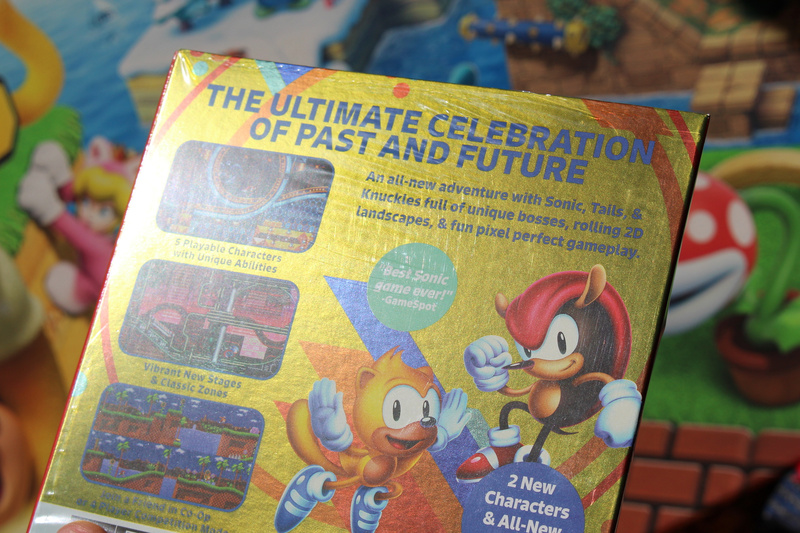 Not as wonderful in level design and music as Sonic 3 & Knuckles but a great Sonic game anyway and this physical release is really nice, if only the other Switch physical releases were like this and not bare-bones boxes without any art inside or booklet... or game, even. @KingdomHeartsFan, yes it is. Wings of Honneamise is my favourite anime, truly awesome. It also has the best soundtrack of any film (not just anime) by the guy that went on to win the Oscar for The Last Emperor. That's pretty awesome. Yeah sorry for asking but I was looking at it and thinking how familiar it looked. I haven't seen that film in about 17 years but it does have something uniquely beautiful about it that sticks in the mind. @Moroboshi876 one day I’ll give it a try. Thanks for the info. I guess Russia and Japan are the tricky ones. @ArcanineArco Just put in my order from there now. Not often I see them undercutting my usual places much but glad its a good price. Too many places are premium pricing the Switch version over the others. Also to those who may be curious still. These guys have partnered with Amazon and other big companies before too. I loved Sonic 1 and 2 as a kid, never had the third one until later on so I don’t have nostalgia for that one. But as soon as this dropped I knew I needed to play it. And I kinda hoped for a physical game to be announced so I never bought the digital. Now I’ve had the physical pre-ordered (for 24,95 euros including shipping) for a while. I can’t wait to finally experience the game! @RainbowGazelle I was sent the North American version, so I can't comment on what the EU version looks like, for obvious reasons. @RainbowGazelle to be fair if they only got sent the US version they can’t answer. But I agree euro releases are usually the worst. @Damo Then maybe mention which version it is in the article? I don't just mean to pick on this one article, it's just a general gripe I have with gaming sites only talking about NA versions as the product, and Europeans having to figure out whether it applies to them or not. @SonOfVon Not at all because it was $45 for PC on amazon pre release so it was reasonable. Thinking about getting plus on the switch, though. 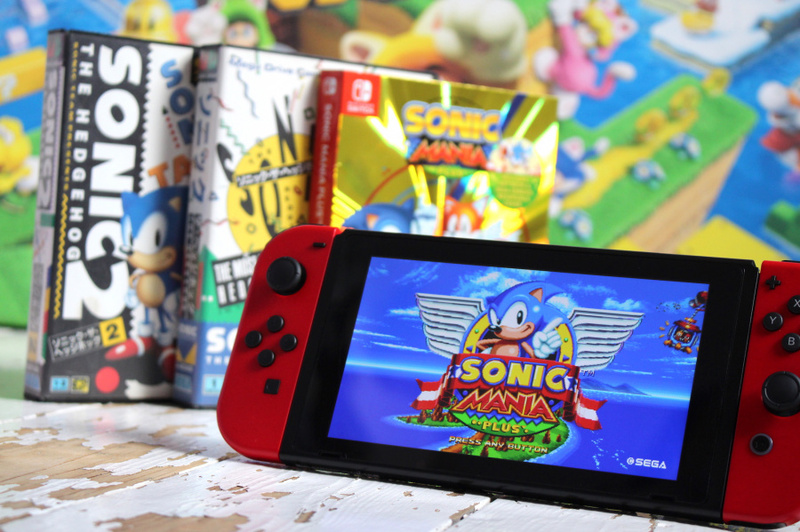 Makes me wish there was a, Sonic Blue, pair of Joycons for the physical release of this game! Since I already have the digital version, I will probably just pick up the 5 dollar DLC. This really should have been how the game launched, as I do prefer physical copies when I can. But I don't prefer physical copies at the cost of paying 6 times the price compared to a DLC update of a game I already have. @nab1 Not only that. But should @Matthew010 become a fan of the series and play other games, he could come back to this one more seasoned and experience the bits he may not have understood the first time around. I don’t think I’ll bother picking up the update for this. ReLly just never at all got into Mania. Wait so if you already own Sonic Mania physically, it automatically updates to Plus for free, but if you own it digitally you have to pay $5? Hopefully I’m reading the article wrong because that’d be lame..
@backlogrob this is the first physical release of the game. So it’s the basegame digital for 20 bucks with the plus content for 5 bucks or the physical edition with artbook which includes everything for 30 bucks. @Francema Japan is, I believe you have to buy gift cards. Russia lets you pay with your credit or debit card. At least if you're from Europe. But if you check eshop-prices you will see Norway, South Africa, Mexico and Canada are the eShops to go. @RyanSilberman I'm a fan of some of rhe 3D Sonics and the racing games, but never the 2Ds. It may work that way, as I’ve heard that the switch shares data between physical and digital copy’s in most games. I’m hoping for that too, because I want the switch version of the physical release, but since I already have the digital version, I’d love not needing the cartridge to play and to get the extra content just added to the save file/ game data.